Negativity is everywhere. I'm sure you've noticed. Almost everything I've read/seen/heard lately has done nothing but discourage, drain, and worry me. As a writer and blogger, I don't want to add to that noise. Inspired by a practice of The Minimalists, I am choosing to counteract the negativity by focusing on how I can serve you, the person reading this, by sharing positive things that have added value to my life lately. Things that you might find value in as well. So here goes. 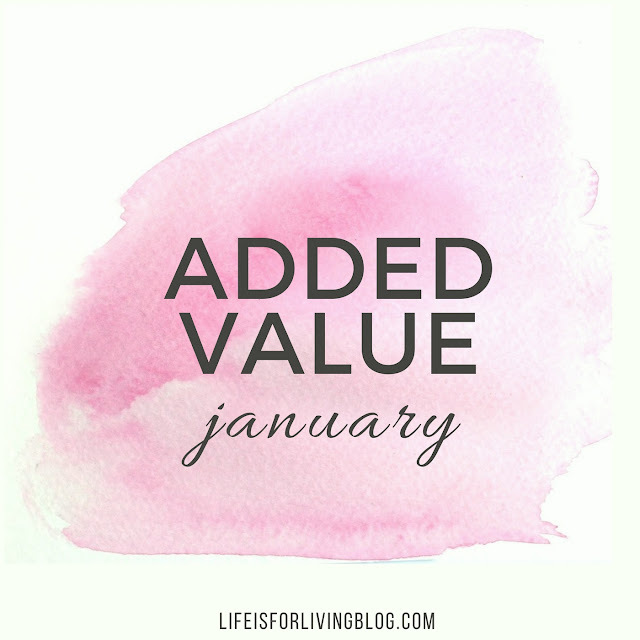 I present the first of a yearlong series, a brief list of things that have encouraged and inspired me during the month of January. This thorough examination of modern American consumerism is both sobering and refreshing. The message these guys share is what the world desperately needs right now. They argue that more is usually less, and perhaps less is actually more. Life isn't about money. It isn't about amassing stuff. It isn't about keeping up with the latest fashion trends. It isn't about "moving up" into better, nicer, and newer cars. Success isn't a big, new house with granite counter tops and stainless appliances. It isn't a hefty income and an impressive job title. Despite what the world keeps shouting at us, none of this stuff matters. I didn't expect a movie on Netflix to impact me like this one did. I've done a tremendous amount of soul searching and prioritization since viewing this film, and I've made changes in my personal life. I went on to read their latest book, Everything That Remains . Then I began devouring their podcast on iTunes (which worked out great, because #97 on my 101 Things List is Discover a New Podcast). If you're tired of America's obsession with having more, spending more, accumulating more debt, and putting on a show to keep up with Joneses, if you need hope that there's more to life than the antiquated, consumerism-driven "American dream", I invite you to check out these guys. The film is the best place to start, and as of today, it remains on Netflix. 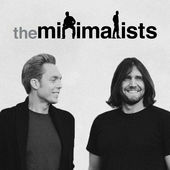 The link to their free podcast on iTunes is here. Okay, this one was entirely unexpected. But it changed my thoughts about the simple act of hugging. Now, it's a "little snuggle book for adults ", which means it's a book for adults written by a children's author in the style of a children's book. The best thing about that? Interesting formatting and bright colors and images, which makes it a breeze to read. I began it reluctantly, held back by cynicism and doubt. I mean, she encourages stranger-hugging. If a stranger tried to hug me, I'd probably cry out for help, assuming they were trying to pick my pocket. She talks about self-hugging. And tree-hugging. Waaaay too hippie, even for me. But I tried to keep an open mind, and I read on, motivated by statements such as this one- "Don't scoff at it. Try it"- which were sprinkled throughout the text. I decided to drop my negative attitude and have fun with it. And I'm glad I did. In this dark world filled with loneliness and depression, hate and division, fear and paranoia, this book offers a light. What if instead of pushing other people away, warily avoiding strangers, and choosing Facebook and text-messaging over face-to-face physical meet-ups, we embraced each other? Literally? Working as a nurse, I've seen how powerfully healing physical touch is. I've witnessed how comforting a simple touch on the hand is to a lonely, elderly patient. Wouldn't we all be a little more confident, a little more at peace, and a little happier if we freely offered physical contact to others and accepted it as well? Spend 20 seconds reading the news headlines. Then spend 20 seconds hugging someone. See? Wow, huh! She cites studies that have shown how 20 seconds of hugging releases the feel-good hormone oxytocin (aka "the love hormone") for both the hugger and the huggee. Oxytocin reduces anxiety, halts stress responses, increases romantic attachment, induces empathy, increases trust, can even improve digestive health, and may actually have beneficial effects for people with autism. That's a whole lot for a simple hug! The author is exceedingly optimistic and doesn't take herself or her ideas too seriously, and her lighthearted examination of hugging is upbeat and encouraging. 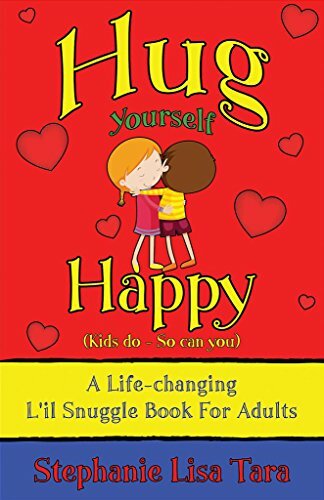 You can expect to find multiple fun and comfort-zone-busting hug exercises along with dozens of "hugger testimonials"- moving stories about hugs and the impact that this simple gesture has made on real-life individuals. As silly/weird as it might sound, you just need to read it. I've been interested in reading this book since a slightly crazy, barefoot-running co-worker recommended it to me last year. Simultaneously, I've been avoiding it because I thought it was just a book about barefoot-running, which sounds too extreme and insane and, well, like a waste of my time. However, this book was so much more than that. Oh my goodness. This book made me want to run. The author shares his personal journey as a frustrated, overweight guy who wants to run but keeps suffering so many injuries from it that his doctors tell him to give it up. I say doctors because he's so adamant in his refusal to stop running that he gets a second opinion, then a third opinion. 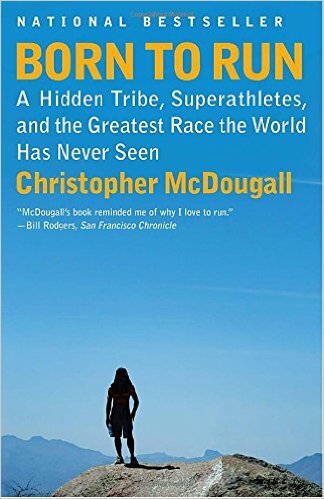 Desperate to find a way to run without injury, he travels to Mexico to seek out the Tarahumara Indians, a reclusive, cave-dwelling people who wear nothing but cheap, thin-soled sandals and run hundreds of miles effortlessly at a time. Along the way, he addresses and explores several big running questions. Why do runners get injured all the time? How the heck do some runners go for 100+ miles without getting injured or even getting tired? Why have running injuries increased and record times worsened since the development and implementation of state-of-the-art running shoes and high-tech gear? Is there any biological, evolutionary evidence that humans were created to run long-distances? And what about barefoot running? The book is extremely well-written, insightful, informative, funny, and crazy inspiring. It seriously made me wanna hop up and go for a run. Beyond that, it's a great story. And everyone, not just those who run, loves a good story. Has anything made a positive contribution to your life lately? What things have you been enjoying? Share your recommendations in the comments!